For more than a quarter of a century, Tom Carlisle has had the vision and the opportunity to build quality homes at a fair price. With a background as a master carpenter, Tom understands what it takes to construct a well built home. He founded Sherco Construction back in 1994 and has built hundreds of homes for families who demand nothing less than absolute quality and craftsmanship. 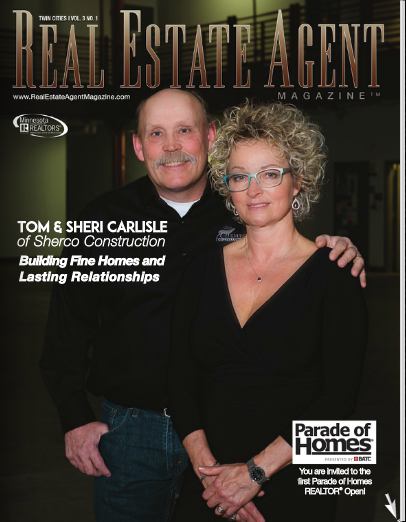 Tom is proud that many of his clients become repeat customers, building their second and third homes with Sherco Construction. This is a family owned business where pride is taken in knowing that we will be here to stand behind our product for years to come. We have built our reputation on not just the quality of our construction but the integrity to stand behind it. Tom, his family and his company give back to their community by joining with Habitat for Humanity of Minnesota in the construction of homes for those neighbors in need. Sherco Construction is a proud member of the Builders Association of the Twin Cities, Builders Association of Minnesota and the National Association of Home Builders. Sherco Construction subscribes to a defined code of ethics and conforms to performance standards for construction and business practices. Sherco Construction is licensed through the state of Minnesota and complies with the rules, regulations and continuing education requirements set by state statute. Sherco Construction is also a member of the Better Business Bureau.